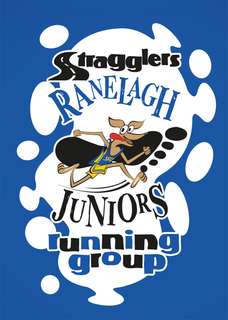 The Stragglers and Ranelagh Junior Running Group (SRJRG) Junior and Mini Handicap Series. The junior handicap race is held once month on a Thursday over the summer from April to August, except for June when there are two events. 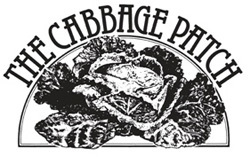 See EVENTS for details. Races are held at the Hawker Centre (Stragglers) and the Ranelagh Clubhouse behind the Dysart Pub in Petersham and the Russell School. For information on training for Juniors click TRAINING. For all the junior and mini handicap results, click RESULTS. For pictures of Junior Handicap Awards presentation, click PHOTOS. Runners are allocated a start time depending on their previous performances, with the slower runners starting first. First time runners are given a handicap according to their age (see below). In order to take part in the junior handicap, entrants must have a consent and medical form signed by a parent or legal guardian. (NB If you have previously filled in a consent form, you do NOT need to fill in a new one). See dates here or on the Home Page - the first one will be Thursday 25th April 6.50 p.m registration for 7.25 p.m. start at the Hawker Centre. To take part in the 2019 SRJRG handicap series it is urgent and vital for ALL runners to complete the Pre-registration Form in order to register for the series. This should be done a.s.a.p or at the latest by 7.00pm the day before the event. (NB This only applies to your FIRST race of the season. No need to pre-register for subsequent races). We will continue to use the same timing and recording system using barcodes as for the previous seasons. As in 2017 each runner will have their own unique barcode which they “keep for life”. Paul Sinton-Hewitt and parkrun UK have kindly agreed that SRJRG runners, aged 4 and over, should use barcodes obtained from parkrun. Runners already registered with parkrun, or if you are under 4, go to step 2 below. Go to the ‘parkrun registration’ website, click on the icon lower down the page with flags, and continue with the registration form. When you register with parkrun you will be asked to select your ‘home’ parkrun. If in doubt select Kingston parkrun. Once the runner is registered print off the sheet of barcodes then return to the Stragglers website and continue with step 2. Register for the SRJRG handicap by completing the SRJRG On-line Pre-reg Form and clicking submit. If you would like to purchase a more permanent barcode tag or wristband go to the parkun barcode site. If runners would like to they can join the Stragglers (Junior membership £2) when they enter their first race. Runners should be accompanied by a parent or other nominated responsible adult for each event. Stragglers and Ranelagh Harriers cannot accept responsibility for children either for personal accident or loss of or damage to property. Hawker Centre - This is just over 2 km on the grassed playing field in front of the Hawker Centre. It consists of 4 laps of the perimeter of the grass area, which will be marked out. After the end of the fourth lap the runners will cross the finish line and go down the finish funnel in the order in which they crossed the line. Minis run one lap of just over 500m. New or inexperienced runners, if they find 2 km a bit far, can run one lap - they will be given a time, but their results will not count towards any individual or team scores. Richmond Park - A 2 lap course for the juniors near the Dysart Gate (pedestrian) entrance to the park opposite Ranelagh’s Clubhouse behind the Dysart Pub. Registraiton will be in Ranelagh Harriers clubhouse. To access the clubhouse take the path to the left of the Dysart pub and go round to the back entrance for the club. Do not park beside or behind the Dysart Pub. You can park across the road in Cedar Heights., also park here for the Russell School unless there is space in the school parking area. First time runners are given a start time depending on their age. Age 5-8 start at 5 mins. Age 9-11 start at 8 mins. Age 12-14 start at 10 mins. Age 15-17 start at 12 mins. Registration is from 6.50 pm for a 7:20 pm start. Runners will need to bring their barcodes to each event in order to get a time. Please check the EVENTS page for any changes to the above times. In any one season, the first time a competitor runs and completes the course, they score 4 points. For First place, 10 points, 2nd place, 9 points, down to 10th place, 1 point. within 30 secs, 3 points; 45 secs, 2 points; and 1 minute, 1 point. These points are accumulated over the 6 races for the overall trophy. For team scores, all members of the team will score points for their team with additional points for the top 5 scorers (calculated as above). Results will be posted on the RESULTS pages as soon as possible after each race. They will also be published in the Stragmag. Individual results may be available on the night; team results will be on the website and in the Stragmag. First timers receive a medal for completing the course, awarded on the night. In each race medals are awarded to the first boy and first girl (regardless of their overall place), and further medals are awarded to the 2nd and 3rd overall places (whether boys or girls). There are also medals for the fastest girl and fastest boy in each race. The overall trophy and shields for first, second and third places, the team shield and the Achievement trophy, as well as Mini shields for first, second and third places will be presented on a Thursday of either late September or October. We will announce the actual date as widely as possible. We require a minimum of 8 marshalls, preferably 10, to assist with the junior handicap and ensure its smooth and safe running. Help from participating clubs would be gratefully received. If you'd like a T-shirt like this, please follow this link to see how to get one. Sport Systems specialise in the timing of many local and international events. Find them at www.sportsystems.co.uk. 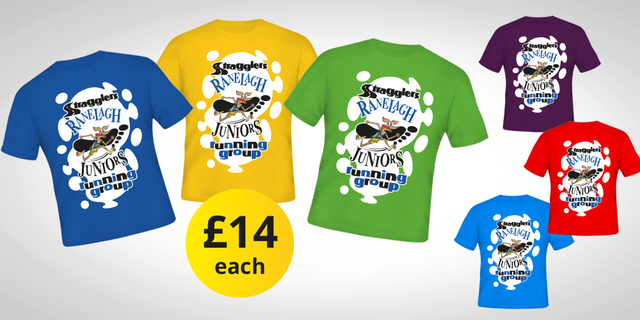 The Stragglers and Juniors logos, as well as the 10th Anniversary T-Shirts have been designed and artworked by DrawTalent.co.uk. The Stragglers are very grateful for all this support.